Silver Music students rent their instruments from Johnson String Instruments, which makes monthly trips from its Massachusetts store to the Silver Music studio. Johnson’s also ships to your home address, although you will be responsible for the shipping charge. If your item is not time sensitive, tell them that you are a Silver Music family and they will deliver on their next trip, free of charge. 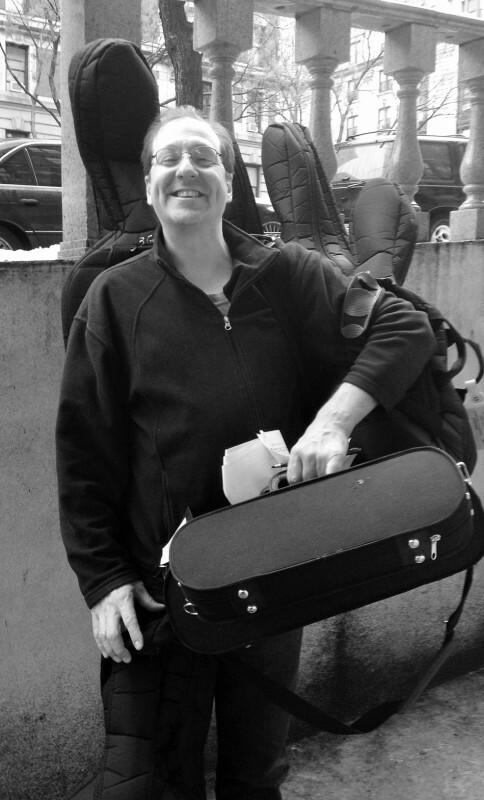 Here’s Rob Johnson dropping instruments off at our Tiemann location! Before beginning private lessons, one of our teachers will measure your child and assess the proper instrument size. Once you have this information, please call Johnson’s and place an order for that size instrument, standard package, along with any other supplies your teacher may request—particular violin supplies that we recommend are listed below. We recommend renting for at least the six-month contract. It is very easy to extend the contract over the phone or online, and you can exchange the instrument at any time for a different size. or Suzuki Cello School, Volume 1-2 plus CD. For inspiration and a glimpse of what lies ahead, we recommend also ordering a Suzuki Violin CD Volume 4, or a Suzuki Cello CD Vol. 5 for our beginning students to enjoy listening to! Violin students should order the following, unless otherwise instructed by their teacher: Wittner Hypoallergenic Chinrest with side mount, NOT center mount (make sure to order the same size as the violin). Blue firm foam shoulder rest (also in the same size as the violin).